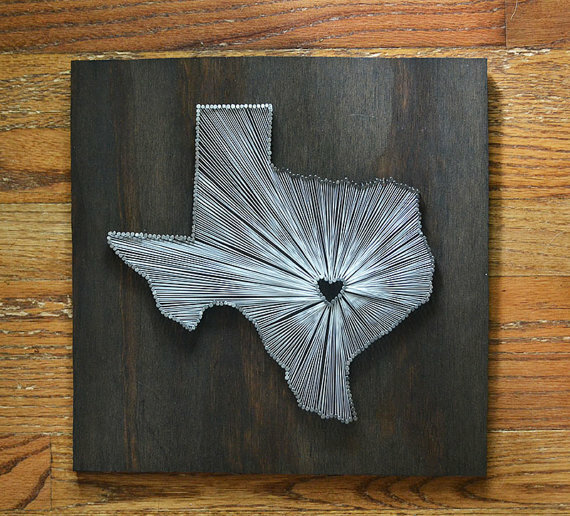 I have been crushing on these string art pieces for a while now, the technique uses small nails and string weaved back and forth to create an image. I particularly like these U.S. State ones with the little heart in the area of the state where you are from or where you live. Of course I live in the UK, so I thought I would have a go at doing my own version with a map of the United Kingdom. Whilst I was painstakingly pushing nails in to foam-board I had an idea to do a set of three using three different techniques. I ended up doing one in thread, one in fabric and one in paper. Don't they look cute! I have put them pride of place on the bookcase on our landing. I love how they look al together. Three is my lucky number, so I always like things in groups like this. I started by printing off an image of the UK map that I then traced on to tissue paper. For the thread version I laid it over two sheets of black foam-board, and pushed the nails in through the tissue paper and board together. When I had finished pushing the nails in all the way around, I gently tore away the tissue paper to leave just the nails in place. Then I took a reel of white thread and started winding back and forth from the nails. It was super tricky to thread the cotton back and forth without nudging the nails out of place and the thread kept coming un-hooked from the nails, but I finally got it reasonably neat, and really satisfying to see it grow as I worked. The second one I made was far easier, I just took my copy and rubbed pencil lead over the back of it then traced down onto three pages from an old book which I had stuck together with washi tape at the back. Once I had traced the map onto the pages I cut it out with scissors and glued it down to a blank sheet of card. I found the little red heart embellishment in my stash. I used the same technique for the fabric version too. Except I traced a little outside the lines so that my stitching would be more accurate to the coast line. Once I had traced it, I cut it out with my fabric scissors and sprayed the back with fabric adhesive to hold it in place whilst I stitched it to the calico I was mounting it on with embroidery thread. For the heart I cut a small piece of red fabric and stitched it in place. I had great fun creating these and they look lovely on our landing. I ended up getting the frames on three for two at Wilkinsons, they are great for low cost frames. 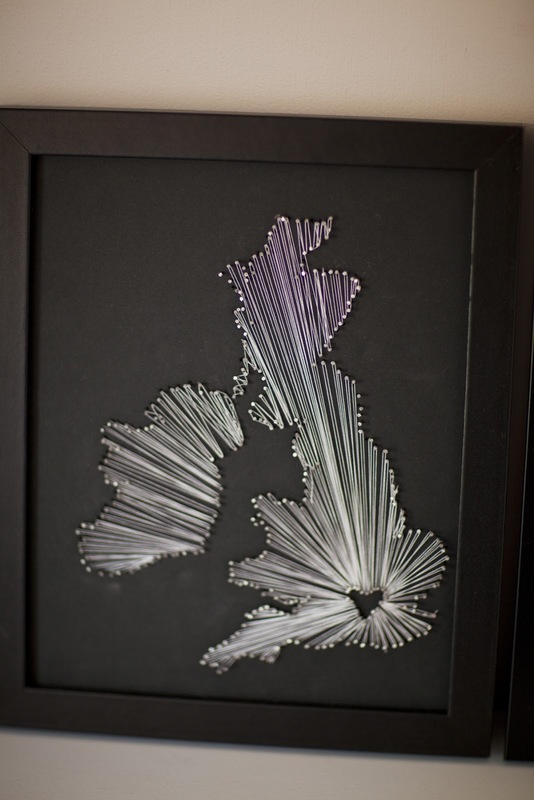 Have you ever had a go at string art? If you have or if you give it a try, send us a picture, we would love to see what you create!